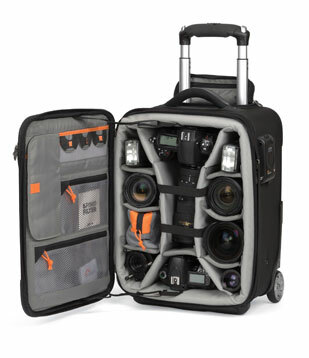 I thought it was time to share some of my ideas on how to buy a camera bag since I have almost as many camera bags as my wife has shoes and I am certain (thought I should not admit to this) almost more excited by new innovative camera bags than I am about new cameras. The fact is that today photographers are really spoiled for choice in the camera bag department and even the biggest stores only stock a fraction of what is on offer. So how do you decide which is the bag for you? Please understand that in a decade of camera bag addiction I have not found the holy grail of the perfect camera bag, it just does not exist. This is largely due to the fact that different shooting styles, locations, subjects will need you to adapt your approach and with it your gear including your camera bag. What you need to decide is what you will shoot more often when you buy your first bag. I am going to break this article into two parts, first for the first time camera bag buyer and the other for the established shooter. Most people usually buy a camera as they have a particular subject they want to shoot and so you have an idea what your will be carrying your camera for most often. If you are a hiker then you most likely wont want a traditional over the shoulder bag. Look at back packs or waist bags. Before you even get there though take stock of the gear you have and what you may own soon. Too often I see people buy a camera bag to make it as small as possible. The trouble is, when the next pay day rolls round they go out and buy an extra lens or flash and suddenly their bag is too small. Your first bag should allow a bit more space than you need right away to avoid this problem. Okay, back to the point that when you know what you will shoot you can start isolating the type of bag that meets your needs. Next, look at access. 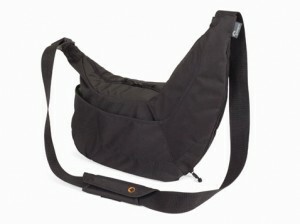 If you are needing a bag to shoot from then you need to have a bag that allows for quick to access to your camera. The earlier backpacks were terrible at this requiring you to take it off, put it on the ground, unzip it all the way showing off all you own and then if you forget to zip it up again, you throw all you own to the ground – I have seen it happen and the crashing sound of camera and lenses is sickening. So to summarize, you need to think about things like access, practicality, safety from theft or damage. Lastly think protection, is it water resistant? How well will it keep the dust out? If there is one thing I always battle with it’s what gear to take with me. So often I see people take almost every lens, body, tripod they own in a bag the size of a coffin for a day outing. My advise to you, have a bag or two that can hold all your gear but think seriously about whether that should be your everyday bag. Look at my review of the Lowepro Exchange Messenger for example. Sometimes its best to have a lighter – limit yourself and use your feet – shooting bag. Again all the same things need to be taken into consideration, size, weight, protection, safety. In the end limiting your options on gear in the field – I find – makes you focus more on subject and fiddle less with lens changes. It can be rather daunting walking into a shop and to buy a camera bag. Take your time. Remember that you will own more than one bag, I don’t think I know a photographer who is truly satisfied with one single bag for every occasion. We will work on some more articles exploring the different bags etc in coming weeks or months if need be but this is a good foundation for you to begin from. Founder of PhotoComment. In a relatively short space of time he has experienced the photography industry almost full circle. From camera repairs, to photographic retail, wholesale, marketing for one of the large camera brands, part time photographer and of course blogger there is hardly a moment when he is not eating, drinking and occasionally getting some sleep where photography is not involved. Tristan - Founder on Eye-Fi’s 32GB Mobi Card is here! Bernadette Thompson on Eye-Fi’s 32GB Mobi Card is here!